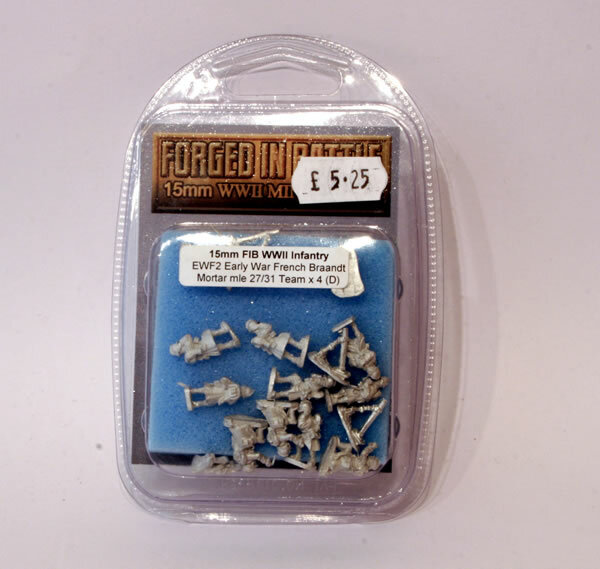 I was recommended these Forged in Battle miniatures at a gaming shop in Birmingham. They look well casted and a similar size to Flames of War infantry. I mounted the mortar teams onto wooden sticks ready for undercoating and painting. There are four teams altogether. The next stage was a white undercoat. The mortar crew were given a basecoat of Green Brown (879) whilst the mortar itself was given a basecoat of Gunship Green (895).